The Legault government Thursday promised to hire 800 specialists to boost early detection and diagnosis of children with special needs. 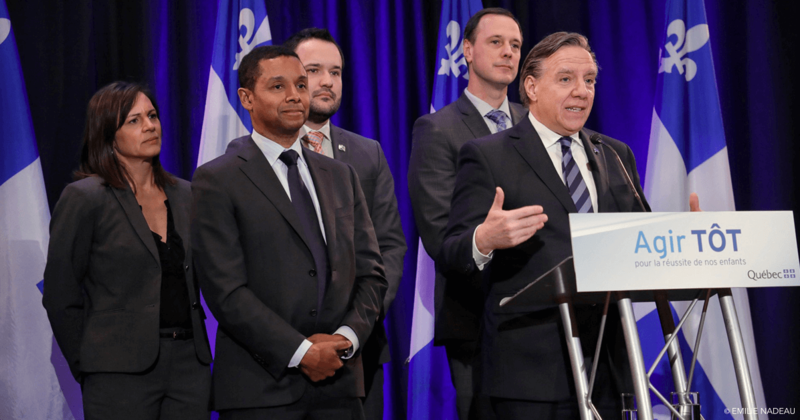 The hires, to be accompanied by a new province-wide early detection website, will cost between $70 million and $90 million over the next two years, Premier François Legault said at a news conference wrapping up a two-day Coalition Avenir Québec party caucus in the Outaouais region. He was accompanied by junior health minister Lionel Carmant, a specialist on the issue. “It’s important to act early,” Legault said. “Any services we can provide before the age of six are more efficient than those given after. The issue was a key CAQ election promise and dealing with the issue was one of the reasons Carmant, a world-class neurologist in brain and child development, got into politics. At the news conference, Carmant said he was “overjoyed to announce his vision was becoming government policy. He said the program will aid about 80,000 children a year. Legault and Carmant insisted the health care system will come up with the specialists they promised despite chronic shortages in many fields. Carmant noted some doctors currently working in the private sector will jump at the chance to work in the public. The announcement was accompanied by the creation of a new website where parents can seek information on early detection and even enter the symptoms of their children to see if a potential problem exists.